In watching and researching motion picture serials over the past few months, I’ve run across many based on characters from other media: comics, radio, and literature. Allowing for the vagaries of art and commerce, I’ve been struck by the absence of several characters who one might expect to be adapted as source material. What follows is necessarily speculative, but I’ve compiled a list of characters, popular at the time, who could have appeared in a serial but didn’t, for whatever reason. Perhaps arbitrarily, I’ve excluded characters who appeared in feature films or cartoons during the “Golden Age” of the serials: Sherlock Holmes and Dracula may not have appeared in serials, but they are well-represented on film. I’m more interested in characters whose film appearances are either limited to the modern era or who haven’t appeared on film at all (yet). From one perspective, it isn’t surprising that Edgar Rice Burroughs’ interplanetary hero didn’t make the leap to the big screen until 2012’s poorly-received adaptation. Although John Carter set the pattern for the early space heroes, appearing in print in 1912, both Flash Gordon and Buck Rogers were featured in serial adaptations during the Golden Age of science fiction (in 1936 and 1939 respectively). It was Gordon and Rogers who cemented the conventions and story beats of space opera for film audiences and became household names in the process. Later, Star Wars and other science fantasy epics would borrow elements of Carter’s adventures (what is Tatooine but Burroughs’ dying Mars? ), further stealing the series’ thunder. 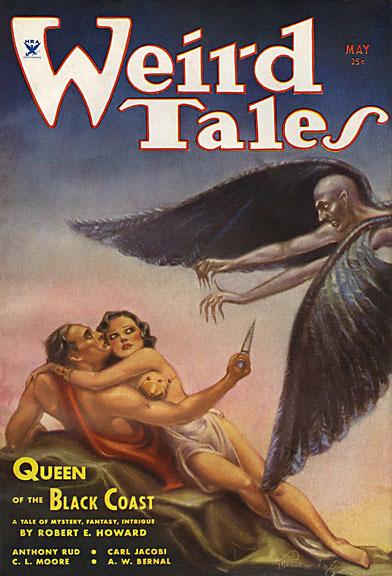 On the other hand, clearly there was a market for science fiction adventure, and Burroughs was aware of the power of licensing his creations: his other famous character, Tarzan, was featured in numerous film adaptations in the 1930s and ‘40s (continuing to this day), including one produced by Burroughs himself. 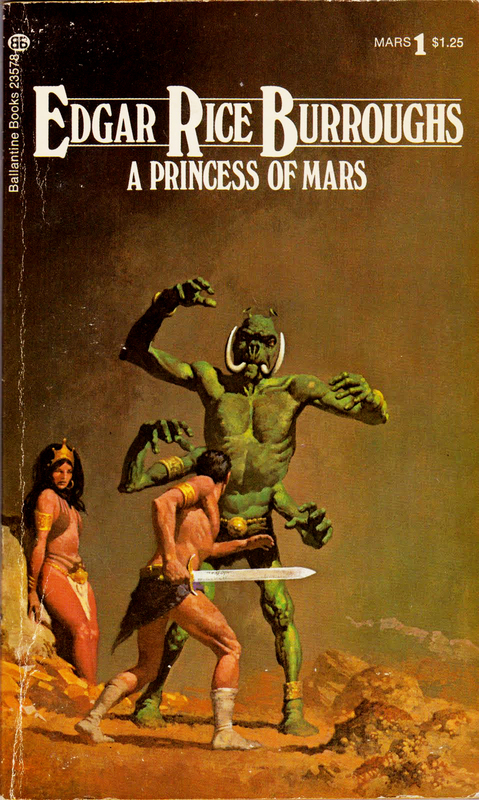 Perhaps it was the extravagant native fauna of Barsoom (the locals’ name for Mars) that made it prohibitive to film: in his adventures, Carter faces the four-armed giant Tharks (Green Martians), rides eight-legged thoats, and encounters other multi-limbed creatures that would have been compromised by the special effects of the 1930s, to say the least. (Flash Gordon tries manfully to create convincing space monsters, and is only intermittently successful.) 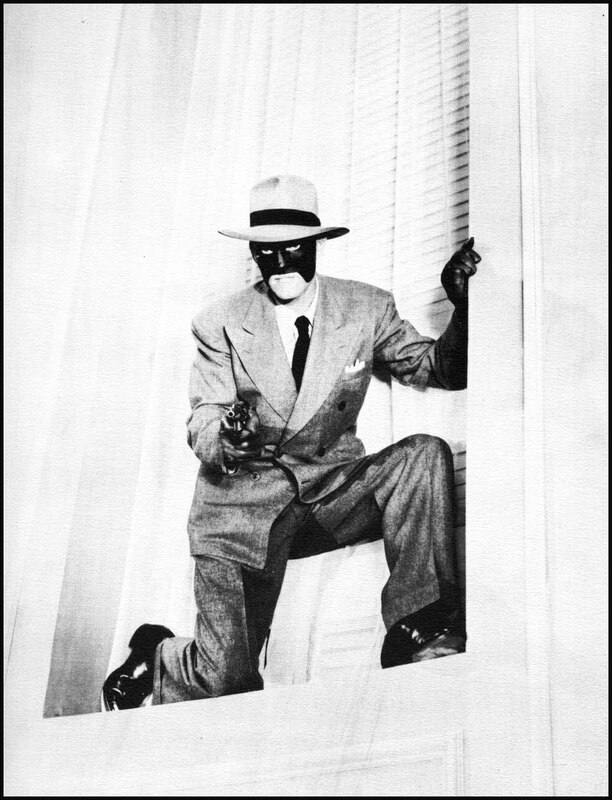 In a similar vein, the fliers and radium guns of Burroughs’ novels might have seemed like a daunting proposition to film, but other science fiction serials and features found ways to create such effects or work around them. Intriguingly, there was at least one attempt to produce a John Carter film during the Golden Age: in 1935, Warner Brothers animator Bob Clampett approached Burroughs with a proposal to put together an animated John Carter series that, had it been made, would have beaten both Snow White (the first animated feature) and the Flash Gordon serial to theaters. Clampett and Burroughs put together a deal with MGM, but ultimately the project was deemed too weird for audiences. Only a few minutes of test footage remain to show what might have been. 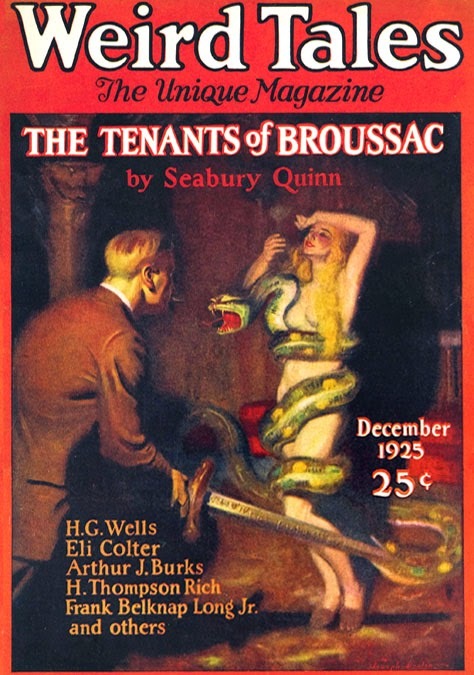 The most popular author to appear in Weird Tales magazine wasn’t Robert E. Howard or H. P. Lovecraft: it was Seabury Quinn, a lawyer with a specialty in mortuary law and the funeral business. 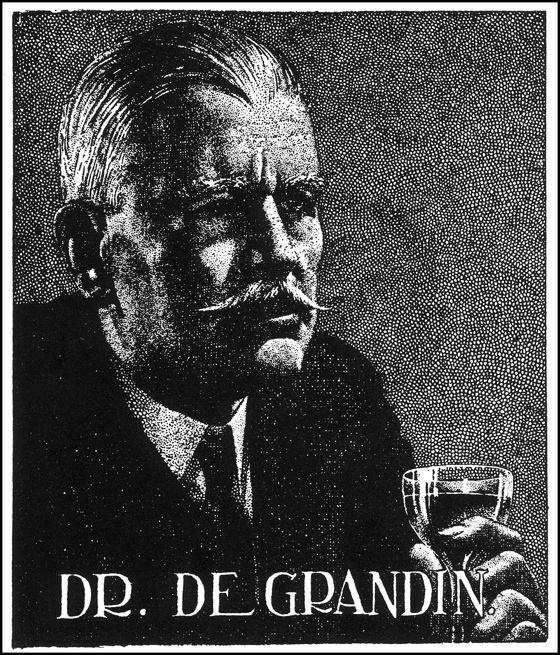 Quinn’s most popular creation was the feisty French physician Jules de Grandin, a prime example of the “occult detective” character type. With his sidekick/narrator Dr. Trowbridge (clearly modeled after the sturdy Holmes/Watson dynamic), de Grandin defended Harrisonville, New Jersey against supernatural, scientific, and just plain criminal threats in nearly a hundred stories. Although less well-remembered now, the de Grandin stories contain plenty of ideas that could have made for excellent serials—killer animals, vampires, cults, mad scientists, and more—and were formulaic and action-packed enough to provide what audiences of the time expected. De Grandin, with his cod-French exclamations (not only the time-honored “Sacre bleu!”—de Grandin would frequently vary his patter with insertions of “Parbleu!”, “Mordieu!”, “Zut!”, and odd turns of phrase like “Horns of a little blue devil!”, “Name of a gun,” etc. ), was likewise a character whose exaggerated national character would be right at home at Republic or Columbia. (His catch-phrases are no sillier than the “inscrutable” Orientalisms of Charlie Chan or the “By Jove!” English of Anthony Tupper in Robinson Crusoe of Clipper Island.) More importantly, like all serial heroes, de Grandin favored the direct approach, and was as likely to defeat the forces of evil with a sword or automatic as with an incantation or clever trap. Speaking of Robert E. Howard, it’s unlikely that a serial based on his famous creation Conan would have been anything like the 1982 feature Conan the Barbarian, influenced as it was by the success of special effects blockbusters like Star Wars and Raiders of the Lost Ark and the contributions of later authors (not to mention the Frazetta-esque physique of star Arnold Schwarzenegger). However, the ancient past had been represented in epics like Ben-Hur, and fantastical “lost worlds” were featured in serials such as The Undersea Kingdom and The Phantom Empire, so it wouldn’t have been out of the question. A Conan serial would have probably resembled those starring Tarzan or “jungle girl” Nyoka, with an emphasis on action and the lead’s physicality, toning down Howard’s often pessimistic philosophical digressions. 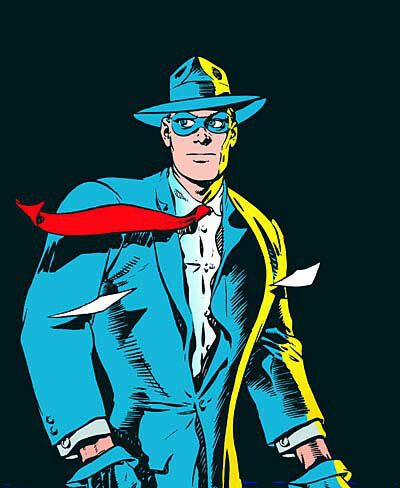 It’s worth noting, however, that Howard created several series characters, in a variety of genres, that could have headlined serials (and to this day, not all of them have been adapted for film). “Last king of the Picts” Bran Mak Morn and medieval Irishman Turlogh Dubh O’Brien represent Howard’s interest in the history and people of the British Isles; King Kull of Atlantis and swordswoman Red Sonja represent a strain of sword-and-sorcery similar to the Conan stories. 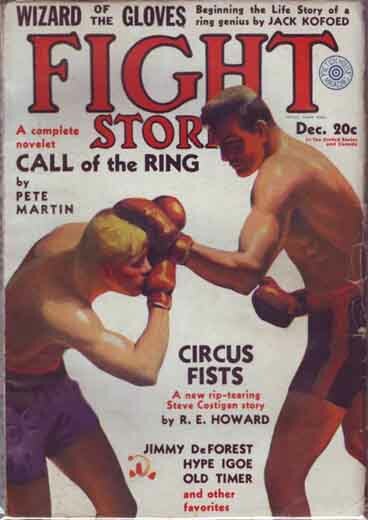 Of all of Howard’s series characters, probably the closest in spirit to the serials is Steve Costigan, a modern-day merchant sailor and boxer whose stories combined action and wry humor. Although Conan remains Howard’s best-known creation, the author left behind a wealth of material yet to be mined for adaptation. I began to realize who I was writing for”—that is, an audience dominated by adults, rather than children—and “I suddenly found an opportunity to do what I had really always wanted to do, which was to write ‘seriously’ or write good material, and at the same time stay within the medium I knew and had developed skills for. Seriously, what gives? 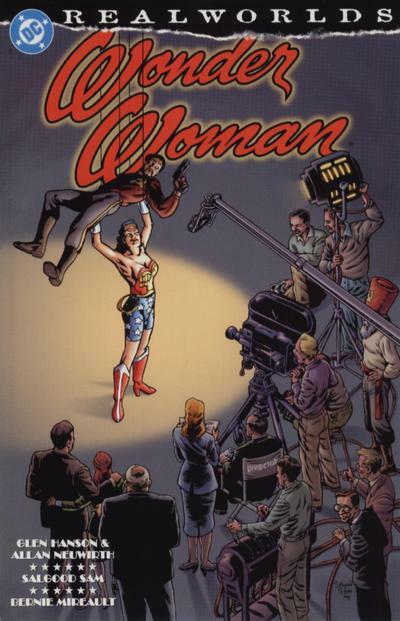 Despite the news that DC’s premier superheroine—the female superhero in the mind of the public—will appear in Batman v Superman: Dawn of Justice, Wonder Woman is severely underrepresented on film. She has yet to headline her own theatrical feature film, and has only a single direct-to-video animated feature to her name. 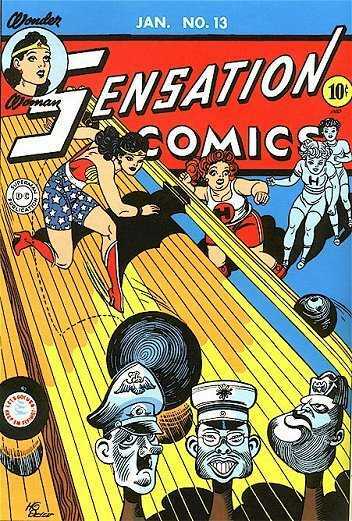 Considering that Wonder Woman spent World War II fighting Nazis alongside Captain Steve Trevor, a serial would seem to be a no-brainer. But it was not to be. What’s Next: In one week, I’ll conclude Fates Worse Than Death (for this summer, at least) with a look at Gang Busters. See you then! 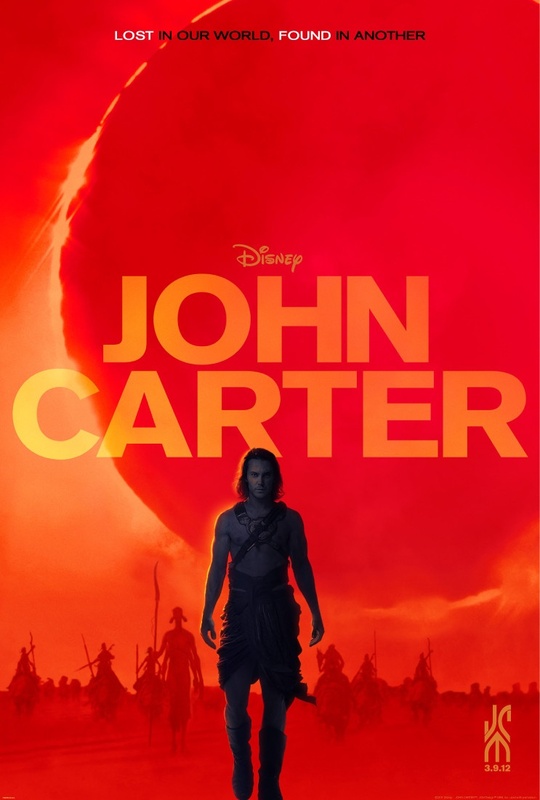 It’s too bad the John Carter movie was so poorly received… I really enjoyed the book and thought the movie was a great adaptation! Also, a continuing Conan series would be badass, like an HBO show or something. Yeah, I don’t think it’s a bad movie at all. “Poorly marketed” would also describe it, although like I said it would be hard for it to stand out after several decades of science fiction movies borrowing from the book. Thanks for reading!